Nau mai, haere mai, welcome to our September newsletter. 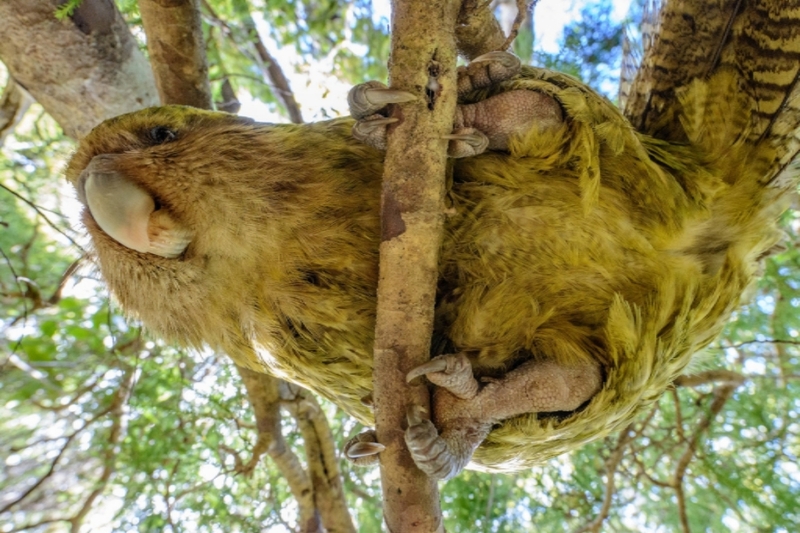 Kākāpō Sirocco. Photo by Jake Osborne. The kākāpō team has grown since our last update, and everyone is busy preparing for the next breeding season. There’s an exceptional amount of fruit developing on the Rimu trees, so it is likely that all the breeding-age females will attempt to breed this summer. 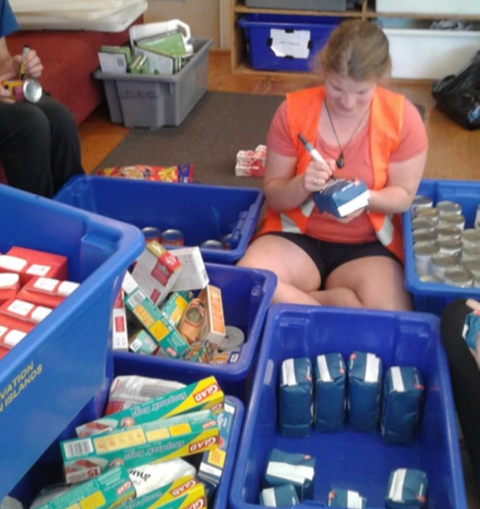 In July, we met with our Recovery Group and with the vet and bird teams at Auckland Zoo. 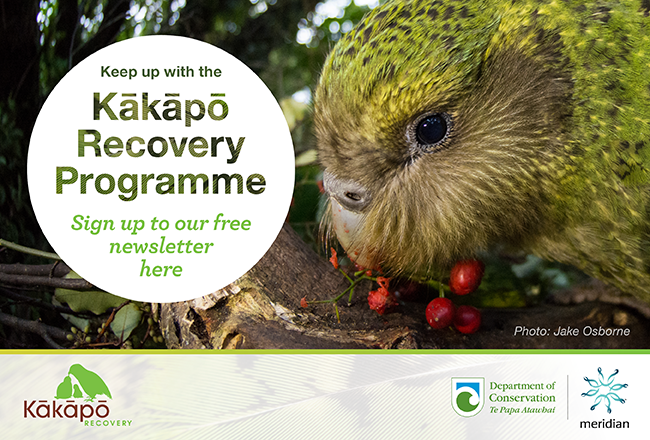 Our revamped website was launched in May, which has lots of information, photographs and resources available to anyone interested in kākāpō. Sirocco returns to Orokonui again for this September. 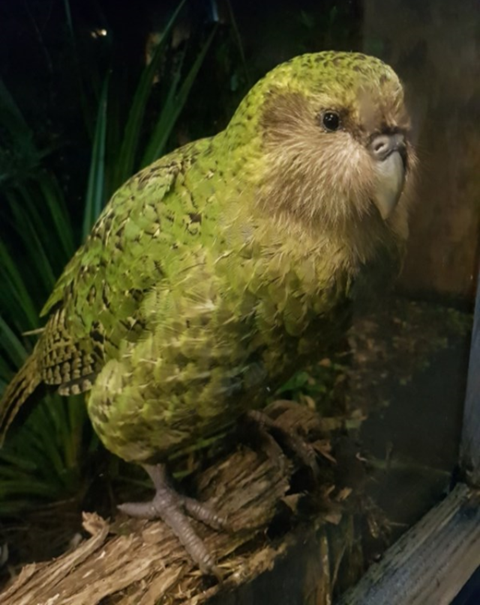 This will be his only appearance until at least 2020, as next year the team will be devoting all their time to supporting the next generation of kākāpō. Since our last newsletter we have had several new staff join the team. Dr Jodie Crane has joined us as Senior Ranger. 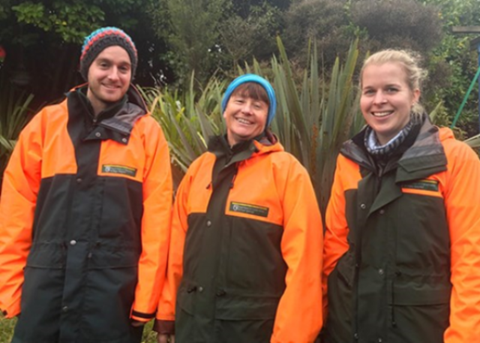 Brodie Philp, Margie Grant and Nicki van Zyl have joined the team for the next twelve months to support the breeding season, and trainee Ranger Kerstin Schmidt will be working with us over the next two years. Our team will keep on growing with more staff recruitment planned to see us through this busy period. We have also welcomed Anton Marsden to our team, who is supporting us with our new database development. We recently welcomed Prof Dan Tompkins to our Recovery Group. 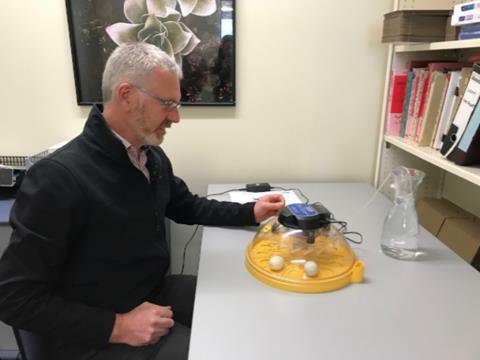 Dan leads Predator Free 2050’s science strategy and is an honorary professor at the University of Otago. Our Rangers have been working hard on Whenua Hou and Anchor Island over the last few months. Every kākāpō wears a radio transmitter, an important tool in monitoring their location, behaviour and health. Each year these transmitters are replaced, and this is often our one opportunity to check up on the birds and assess their health. With a growing population, transmitter changes can take three months to complete with a team of up to six people. 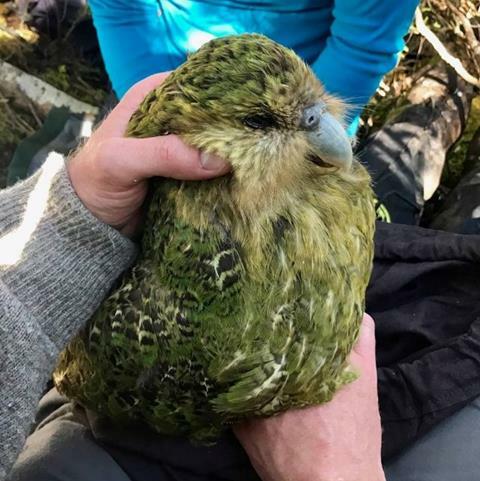 The kākāpō population has fallen to 148 individuals after Jane was found dead on Anchor in August. Jane was one of the original founding kākāpō relocated from Rakiura and was thought to be one of the oldest. Unfortunately, she never bred successfully. 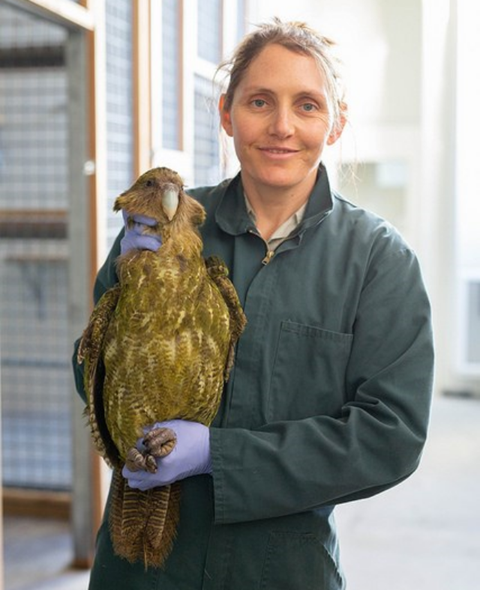 Jane is a particularly significant kākāpō, as she has provided the reference genome for the kākāpō 125+ genomics project. The team are busy planning an annual resupply of the islands with food and necessary equipment prior to the breeding season. 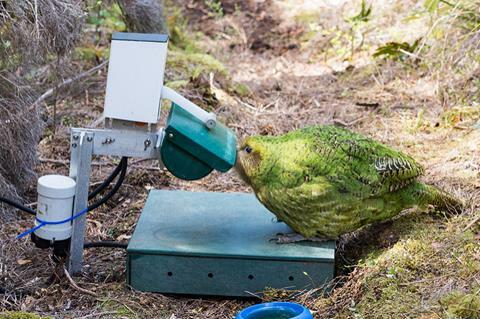 Kākāpō food pellets are on the way, with supplementary feeding due to start in September. We’ll be welcoming our wonderful volunteers back to the islands to support this feeding programme from October. 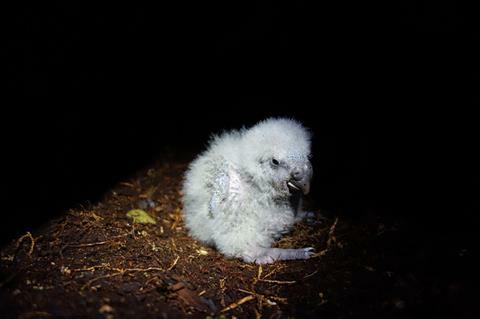 Application forms for volunteering during the upcoming kākāpō breeding season are now available! After 25 years of service, our current database is ready for retirement. We have teamed up with DOC’s ISS (Information Systems and Services) team and software developers at Fronde to build a replacement database with additional functionality that will assist us in our management activities. 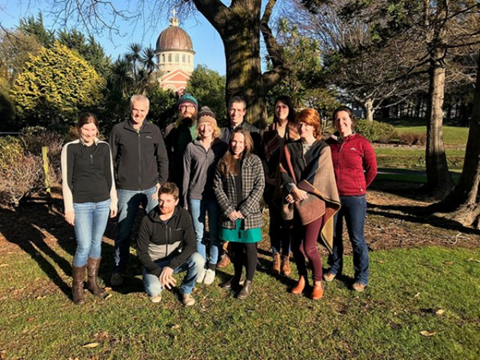 In July, several members of the database team spent time on Whenua Hou to get better understanding of the needs and applications of the new database. Several new incubators have arrived in preparation for the breeding season. These will help us accommodate the potentially large number of eggs that we expect to be laid. Thorough testing is underway to ensure they are working well. Staff from DOC’s Electronics Workshop are busy building new technology for the breeding season including smart hoppers, data loggers, and smart eggs. The use of technology is essential in delivering the programme effectively and coping with the growing population. A further 88 genomes have been sequenced, bringing the total to 169 individuals plus the reference genome. Initial analyses are being coordinated by Genomics Aotearoa (a new NZ-wide genome analysis centre). The data will be made available to researchers later this year. We would like to say a huge ‘thank you’ to everyone who has supported this work. Two new cases of cloacitis were reported on Whenua Hou in July. Te Atapo had a mild case but Kōmaru’s symptoms were more advanced. A decision was made to send Kōmaru to Auckland Zoo for veterinary treatment. An endoscopy was carried out which presented a valuable opportunity for us to learn more about the extent of the symptoms. We found that the symptoms were confined to his vent and cloaca only and didn’t extend into the gastro-intestinal tract. We have several ongoing collaborations with researchers that are helping us understand the potential causes of cloacitis. Click here to see the video. 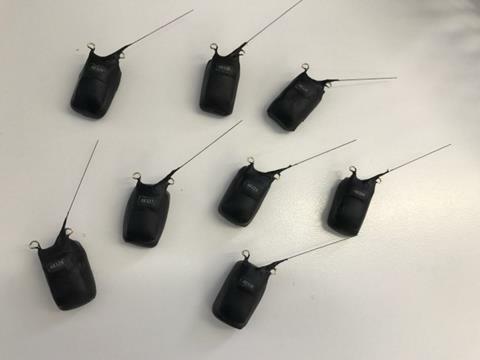 A grant from the New Zealand Parrot Society, along with other public donations, has helped us purchase some new GPS receivers, enabling us to monitor nearly half of the Whenua Hou population next breeding season. This will help us learn more about their habitat use, island capacity, breeding behaviour and disease dynamics. Our Scientific Advisor Dr Andrew Digby has recently delivered presentations at a number of conferences, including the Parrot Society Convention, Society for Conservation Biology and International Ornithological Congress. 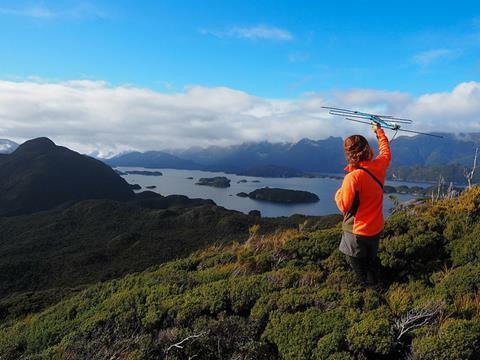 We’ve recently had the pleasure of the company of Mikaylie and Jasmine from Auckland Zoo who’ve been assisting with the transmitter changes on Whenua Hou and Anchor. Mikaylie has also been updating us on Kōmaru’s progress during his treatment at the Zoo. We once again partnered with FLOAT – For Love Of All Things, to produce a limited edition kākāpō t-shirt. This time we asked New Zealand kids aged 10 to 15 to create the design. Over a thousand entries were submitted, with awesome designs coming in from all over the country. 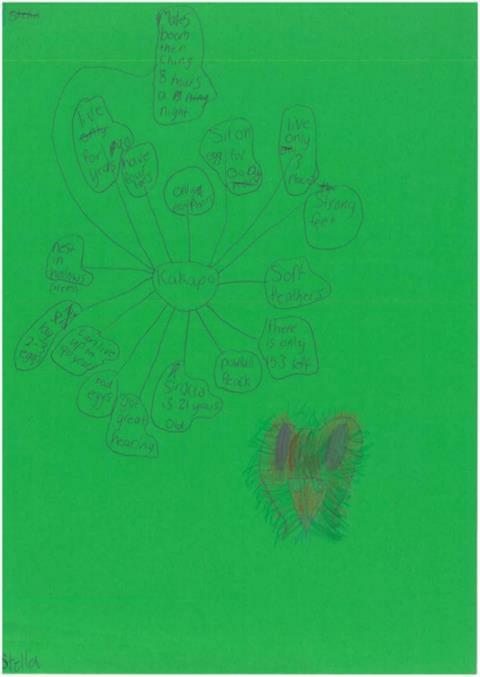 Selecting a single design to be used on the shirts wasn’t easy, but we have a truly fantastic design in Te Huia’s entry, as well as great entries in each age category. In the space of a week over 233 shirts were sold and over $3000 NZ raised for the programme. 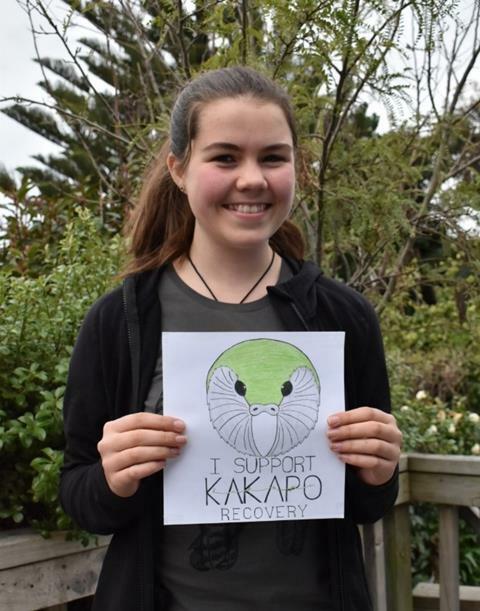 We can’t wait to see people out there wearing their new kākāpō gear! 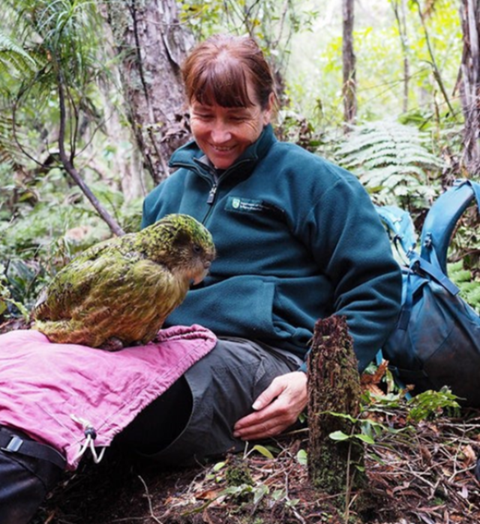 The Kākāpō Recovery Team would like to extend a heartfelt ‘thank you’ to Moreen Constance Hargreaves and her family. Moreen left a bequest to the programme in her will, following a life long interest in kākāpō. The donation will go towards the upcoming breeding season and will help ensure that the chicks have the best possible start to life. This kind of support means a lot to the team. 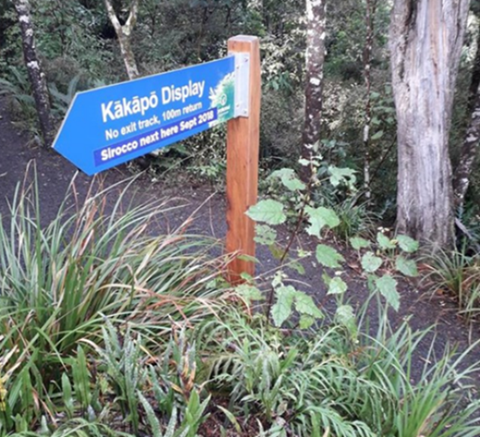 Several of the team have been out and about recently talking to various schools around Southland about kākāpō and the programme. 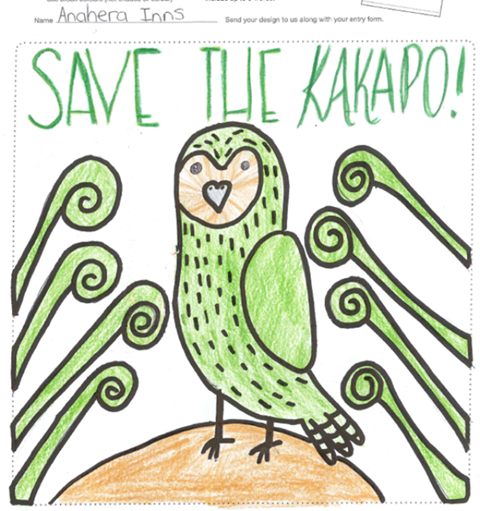 It’s great seeing so many kids learning and being enthusiastic about kākāpō! We might even have met a few rangers in the making.